Total Love in Christ Ministries Presents -- Satan Unmasked !! The Christian Faith should, above all else, be dedicated to the pursuit and embodiment of Truth, being founded by The One who not only promised to lead His followers into "All Truth" and to "Set Them Free" in such Truth, but is Himself, the embodiment of "The Truth" !! 1:14 Now the Word became flesh and took up residence among us. We saw his glory — the glory of the one and only, full of grace and truth, who came from the Father. 1:17 For the law was given through Moses, but grace and truth came about through Jesus Christ. 4:23 A time is coming — and now is here — when the true worshipers will worship the Father in spirit and truth, for the Father seeks such people to be his worshipers. 4:24 God is spirit, and the people who worship him must worship in spirit and truth." 8:31 Then Jesus said to those Judeans who had believed him, "If you continue to follow my teaching, you are really my disciples 8:32 and you will know the truth, and the truth will set you free." 14:6 Jesus replied, "I am the way, and the truth, and the life. 14:16 Then I will ask the Father, and he will give you another Advocate to be with you forever 14:17 the Spirit of truth, , the Spirit of truth, comes, he will guide you into all truth. 17:17 Set them apart in the truth; your word is truth. Yet what do we find today, permeating that which calls itself "His Church" like some cancerous leaven, about which Christ Himself forewarned us ?? We find a collection of Pagan Myths, Superstitions and outright Lies !!! First, depending upon which faction you choose to listen to, it portrays THE God, the Almighty Creator and Sustainer of ALL, as either being too weak and impotent to do that which He explicitly promises (to save ALL mankind), or else of being the kind of fiend that would DELIBERATELY create and then condemn to ETERNAL, fiery torment the bulk of His creation. Second, it DELIBERATELY distorts His plan of judgment, justice, and redemption, which is to be accomplished over a period of "Aeons" or Ages, into some perverted travesty of "Eternal Damnation"
Third, it creates and perpetuates a fiendish, medieval monster, a "fiery, horned, burning Devil", whom it claims the very God of Love (THE Father) commissioned to torment HIS Children in the "Burning furnaces of Hell for ever and ever, unto the ends of the eternities" !! Read more [ HERE ]. Were these monstrosities MERELY the result of ignorance of the facts and frailty of knowledge, it would be bad enough. Such, however, was and IS not the case. They were birthed and given nurture in the cauldron of ignorance, greed and lust for power during the black ages when the Church of Jesus Christ became the secular harlot called the Roman Catholic Organization. Their intent was to terrorize the people into subjection to their new "Lords" through fear, intimidation and the whip of "deliverance of their soul from the fiery torments of Hell". Those of the "New Masters" who did not embrace these travesties out of greed and lust for power were forced to do so out of fear of loosing their position and/or their lives !! Thus today, this cancer has spread throughout most of the "Organized Church", be it Roman Catholic or Protestant. Though the outer face be changed, the motives remain much the same. In the early centuries, there was at least SOME excuse due to biblical and exegesical ignorance. Today, these excuses are gone. Both Biblical Resources and the tools to understand them have greatly increased in number and quality. Institutes of Higher Theological Enlightenment adorn the land. Knowledge abounds, yet deliberate, willful ignorance persists !! 3:7 Such women (PEOPLE) are always seeking instruction, yet never able to arrive at a knowledge of the truth. 3:8 Just as Jannes and Jambres opposed Moses, so these people — who have warped minds and are disqualified in the faith — also oppose the truth. Ignorance, fear, greed, prejudice -- and the lust for power, position and place have NOT changed. It was these same "Demons" which had the "Lord of Glory" crucified that introduced this pollution into His Church, and steadfastly maintain it to this day. Leaving behind the simplicity of its Lord, the "Organized Church" has truly become the "Harlot of Revelation" -- buying and selling human souls -- trafficking and becoming wealthy in the commerce of this world system. The Roman Catholic Organization is one of the wealthiest secular organizations in the world. More is said in many "churches" (Roman Catholic AND Protestant) about money than is said about salvation, righteous and holiness. Jesus wept and became furious over the pollution of the Jewish Temple. What must He feel today over His Bride, His Church ?? It is NOT my intent in this article to discuss the damnable doctrine of "Eternal Damnation" and its particulars. This I have already done in depth HERE. You may download an eBook containing the same information HERE. The purpose for which I am here today is to examine another of Christendom's slanderous fabrications, "The Horned, Fiery Devil", with which it seeks to frighten and intimidate the "UNsaved" into repentance and to coerce the "saved" into submission. First, allow me to clarify my position -- I DO NOT dispute the fact that God's Word, the Bible, speaks of a being which we call "Satan or the Devil". What I AM going to do is to clarify EXACTLY what God says about him versus the caricature that man has developed. You will be surprised and shocked, no doubt, to see the vast difference !! Especially today, many, mired in the swamp of relativism, ask this same question, their implication being that there is NO "Absolute Truth" -- that truth is what THEY choose to say it is. Quite the contrary, regarding Biblical matters, "Truth" is what God says it is in His Word !! As we continue, I make the same request of you as did Thomas Allin in his book, "Christ Triumphant", which is basically an apologetic defense of the doctrine of Christian Universalism. He asked ONLY that the scripture be read and interpreted as to what it actually DOES or DOES NOT say, and NOT as to what we would like to make it say in order to support OUR OWN ideas. Also, that it be read and interpreted in a uniform, consistent, concordant, and intelligent fashion. You may read this book HERE, or download it as an eBook from HERE. What we are going to do now is to examine God's Word, and look for a moment at what the original Greek says about who and what Satan really is. Hopefully, to encourage you to continue reading, it emphatically DOES NOT say anywhere that his position is to torment the lost "forever in Hell"
The one that we today identify as "Satan or the Devil" appears in scripture under a number of Hebrew and Greek words investigated in Strong's concordance. We are going to examine each one in turn. We first encounter Satan in the Book of Genesis, in the Garden of Eden, in the figurative form of a serpent. He is also refereed to in the Bible as "The Great Dragon". In these rolls, he is pictured as a deceiver, a tempter, and a liar. Thus is he also refereed to in the New Testament (which we will get to shortly). There he is spoken of as "a liar from the beginning - the father of lies". Scripture seems to imply that his MAIN power is in his "tongue" - his power to control by lie, deception, temptation, and manipulation. In the Old Testament, the word "Satan" has the generic meaning of "Adversary", where it is applied in this general sense in many passages. It might be used in the judicial sense of "adversary in a court room" or in the sense of "adversary as an enemy". Satan is sometimes pictured as a servant of God, doing His bidding, and sometimes opposing Him, but ALWAYS under God's control. The idea of Satan as the opposite power of God, independently opposing him in open warfare, is another figment of man's imagination and perhaps Satan's manipulation to enhance his position in man's mind. Note the connection between these two verses. In the former, it is God who incites David. In the latter account of the same incident, it is Satan who is said to do the inciting. It would seem that God moved upon Satan to be His instrument. 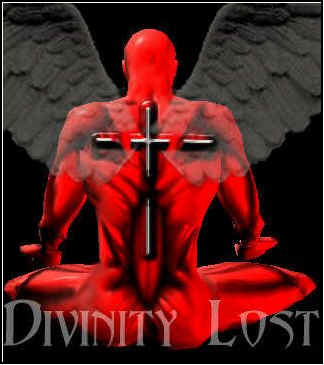 In the New Testament, he IS spoken of as being the leader or ruler of a host of wicked spiritual beings called demons. He also appears to have control over human beings who have succumbed to his lies and influence, and uses them as his instruments of destruction. Again, he is depicted as "a troubler of mankind", however, under the control and direction of God. Ultimately, he remains as one of God's instruments, performing necessary parts of His Plan. Under his New Testament name, "The Devil", he is again portrayed as a tempter, a troubler, an oppressor, and an enemy of mankind. He and his servants seem to be instrumental in bringing about physical, mental, and spiritual disease. He holds mankind under his control by deceit, lies, and oppression. He is no doubt the instigator of murder, hate, war and destruction. It is said that the universe is in the midst of a spiritual battle, in which Christians are called upon to "do battle against the forces of darkness" -- Satan and his host, his army. It is apparently Satan's desire to "devour mankind". Perhaps, in a spiritual sense as suggest by writer C.S. Lewis in his book, "The Great Divorce", Satan and his demons would wish to "feast upon our essence". In the Spiritual Realm, there is apparently a hierarchy of authority and power, of which Satan is one of the Rulers. Whatever else he may be, he is or was "One of the Glorious Ones of Heaven". Whatever his power may or not be, however, it is limited by and under the control of God. Satan's defeat and destruction is already proclaimed and guaranteed. In the Lake of Fire, he IS NOT the one who will be doing the tormenting, but it is rather he and his followers who will be the tormented !! 4:1 Then Jesus was led by the Spirit into the wilderness to be tempted by the devil. 13:38 The field is the world and the good seed are the people of the kingdom. The weeds are the people of the evil one, 13:39 and the enemy who sows them is the devil. 8:44 You people are from your father the devil, and you want to do what your father desires. He was a murderer from the beginning, and does not uphold the truth, because there is no truth in him. Whenever he lies, he speaks according to his own nature, because he is a liar and the father of lies. 10:38 He went around doing good and healing all who were oppressed by the devil. 12:9 So that huge dragon — the ancient serpent, the one called the devil and Satan, who deceives the whole world — was thrown down to the earth, and his angels along with him. 20:1 Then I saw an angel descending from heaven ...... 20:2 He seized the dragon — the ancient serpent, who is the devil and Satan — and tied him up for a thousand years. Satan does indeed posses power over those who allow themselves to be under his dominion. He is spoken of as the "god of this age (this world system)" and "the ruler (prince) of this world, and is no doubt the inspiration for the multitude of false gods down through the ages of human history (all of them him). We who serve Jesus Christ as our Lord, however, have been "translated out of the kingdom of darkness into HIS Glorious Kingdom". It is written that, "greater is He (God) who is in us than he who is in the world (Satan)". "Look how you have fallen from the heavens (sky), O shining one (Lucifer <1966>), son of the dawn! You've been cut down to the ground, O conqueror of the nations!" This is the ONLY occurrence of <01966> in the ENTIRE Bible. Rather a small foundation to build such a large doctrine upon as Christendom has done, would you not say ?? It is derived from <01984> (see below), and is rendered "Howl" in the "Literal Concordant Old Testament". Satan's fall is only another and coarser form of Gnosticism, the "science, falsely so-called," against which the spirit of God has warned the saints. It is the old, old, attempt to relieve God of the responsibility of the creation as we know it, and to shift its shadows to the shoulders of His creatures. The Gnostics divided this responsibility among many, and thus dissipated the responsibility. Regarding the physical appearance of Satan and his demons, there is little documented fact to speak from. There is CERTAINLY no scriptural basis to support the caricature of Satan and demons that has developed over the years. All that can be said is that God's Word states that Satan can appear as an "Angle of Light", a description hinting at Beauty and Splendor. There is nothing to suggest that the demons either posses or can take on a physical form. Both they and Satan are spiritual in nature, and as such do not have a corporeal existence. Scripture DOES say that demons (and even Satan) can take over control of and posses the physical being of a living person. Scripture also indicates that demons can enter into animals. So, you may rightly inquire, if our present view of Satan and his host were NOT derived from Holy Writ, from whence DID they come ?? The answer is to the shame and degradation of the Church of Jesus Christ. Much as Satan entered into Judas to move him to betray his Lord, these fabrications have entered into the Church from heathen and Pagan myths and superstitions, that the Church might again betray its Lord!! A vast part of ALL that the Roman Catholic Organization has and is has been derived from heathen and Pagan Myth, Ritual and Superstition. Thus has it passed on to the rest of the church its legacy from the Dark Ages of Superstition and Ignorance !! Much of the imagery of Hell (in reality Hades) and the afterlife was derived from Greek Mythology. More came from the Roman and other Eastern Cultures, the Persians, and Zoroastrianism. See the Addendum References below for more information on this subject. It has NOT been my intent at any point in this article to purposely offend and/or insult. It HAS been my EXPRESS intent to challenge you to truly THINK upon what you believe in light of what God's Word, the Holy Bible, REALLY says , stripped of man's doctrine, dogma, prejudice, and irrational thinking. I am sure that there is a good and proper place for "Correct Tradition". Paul admonished believers to fashion their lives after the "traditions" that were received from him (2Thes 3:6). Conversely, he warned us not to be despoiled by the "traditions of men" (Col 2:8), just as Jesus repeatedly criticized the Pharisees for preferring the "traditions of men" over and above His Word and the Word of His Father. "Faithful is the saying and worthy of ALL welcome (for this are we toiling and being REPROACHED), that we rely on the living God, Who is the Savior of ALL men, especially of believers. These things be CHARGING AND TEACHING." In the ongoing way of Asha, humans' choices for good and evil bring their own rewards and punishments, if not in this world, then in the next. Zoroastrianism was one of the earliest religions in history to link the afterlife with morality rather than envisioning it as an empty Hades or an otherworldly continuation of earthly life. In the Gathas, Heaven and Hell are simply described as spiritual states, "the best existence" and "the worst existence." In later traditions, the afterlife is vividly and imaginatively described. It is this moral choice that constitutes the original Zoroastrian dualism. In the Gathas, Spenta Mainyu, the Holy Creative Spirit, is opposed to Angra Mainyu, the "Evil Spirit." The word "mainyu," "spirit," can also be translated as "mentality," which makes this teaching clearer. The dualism of good and evil spirits is a moral dualism, existing not in nature or in the Divine, but in the human heart and mind. Where there is pollution, crime, oppression, abuse, or any other human evil, there is the work of the Evil Spirit. There is, in the original conception of Zarathushtra, no evil in nature or in God; Ahura Mazda is all good. Zoroastrians throughout history have been appalled at the idea of a God who directly punishes sinners, takes vengeance, and condemns His own creation. And yet the cliche of "Zoroastrian dualism" is common even among educated people. The western conception of Zoroastrianism is that of a faith that believes in a "Good God" versus an "Evil God," two co-eternal, conflicting principles. This misconception is due to historical circumstance. During the Sassanian Empire, under ideological pressure from competing religions such as Christianity and Manichaeism, the moral dualism of the Two Spirits became a cosmic dualism that imposed good and evil on the created world, dividing it into sectors at war with each other. The Holy Spirit, Spenta Mainyu, originally an emanation of God, was combined with the One God, Ahura Mazda, to form a being now known as "Ohrmazd." Ohrmazd was now in direct conflict with Angra Mainyu, now known as "Ahriman." It is this historical development, with its "cosmic" dualism, which became known in the West through Greek and Christian authors. Adding to this confusion was the extreme dualism of Manichaeism, a religion derived not only from Zoroastrianism but from Buddhism and semi-Christian Gnosticism. Manichaeism regarded the created world as evil and human beings as prisoners who must escape the world through ever-increasing self-denial and asceticism. Once the original message of the Gathas was rediscovered through modern scholarship, the true teaching of Zarathushtra was again revealed, and Zoroastrians now have the choice of believing in either the cosmic dualism of their Sassanian forebears, or the more fundamental moral dualism of the Gathas. Western religions owe a great deal to Zoroastrianism. It was under the Achaemenid King Cyrus, who liberated the Jews from their exile in Babylon, that Judaism first encountered Zoroastrianism in the sixth century BCE. This contact, which continued for hundreds of years in the mixed societies of the Near East, was to be a source of inspiration for both the Jewish and the Christian worlds. Even the best scholarship cannot pinpoint just how or when Zoroastrian influences entered Jewish religious thought. But most scholars admit that the influence is definitely there. The Zoroastrian vision of the seven Bounteous Immortals has been suggested as the source for the seven Jewish archangels. The Zoroastrian moralization of the afterlife also left its influence on Jewish belief. Before the exile, Hebrew writings spoke only of "Sheol," a Hades-like afterlife without reward or punishment. It was only in post-exilic writings (dating after 538 BCE) that concepts of heaven and hell appeared in Jewish thought. There are echoes of the Two Spirits and moral dualism in the Judeo-Christian idea of Satan, and both in the Gathas and in Christian doctrine, the Evil Spirit is not created evil, but chooses to be so. Hades - (h´dz) (KEY) , in Greek and Roman religion and mythology. 1 The ruler of the underworld: see Pluto. 2 The world of the dead, ruled by Pluto and Persephone, located either underground or in the far west beyond the inhabited regions. It was separated from the land of the living by the rivers Styx [hateful], Lethe [forgetfulness], Acheron [woeful], Phlegethon [fiery], and Cocytus [wailing]. The newly arrived dead were ferried across the Styx by the avaricious old ferryman Charon, whom they paid with the coin that was placed in their mouths when they were buried. Unauthorized spirits who tried to enter or leave Hades were challenged by the fearful dog Cerberus. The honey cake that the Greeks buried with the dead was intended to quiet him. All the dead drank of the river of forgetfulness. The judges of the dead — Minos, Aeacus, and Rhadamanthus — assigned to each soul its appropriate abode. The virtuous and the heroic were rewarded in the Elysian fields; wrongdoers were sent to Tartarus; and most wandered as dull shadows among fields of asphodel. The Columbia Encyclopedia, Sixth Edition. Copyright © 2001-05 Columbia University Press. Hades, in Greek mythology, god of the dead. He was the son of the Titans Cronus and Rhea and the brother of Zeus and Poseidon. When the three brothers divided up the universe after they had deposed their father, Cronus, Hades was awarded the underworld. There, with his queen, Persephone, whom he had abducted from the world above, he ruled the kingdom of the dead. Although he was a grim and pitiless god, unappeased by either prayer or sacrifice, he was not evil. In Roman mythology, he was known also as Pluto, lord of riches, because both crops and precious metals were believed to come from his kingdom below ground. The underworld itself was often called Hades. It was divided into two regions: Erebus, where the dead pass as soon as they die, and Tartarus, the deeper region, where the Titans had been imprisoned. It was a dim and unhappy place, inhabited by vague forms and shadows and guarded by Cerberus, the three-headed, dragon-tailed dog. Sinister rivers separated the underworld from the world above, and the aged boatman Charon ferried the souls of the dead across these waters. Somewhere in the darkness of the underworld Hades' palace was located. It was represented as a many-gated, dark and gloomy place, thronged with guests, and set in the midst of shadowy fields and an apparition-haunted landscape. In later legends the underworld is described as the place where the good are rewarded and the wicked punished. http://uk.encarta.msn.com © 1997-2005 Microsoft Corporation. All Rights Reserved. You may read an INDEPTH expose concerning spiritual warfare entitled, "War on the Saints" [ Here ] or download an eBook [ Here ]. Buy your INEXPENSIVE books at one of these sites: Amazon, Alibris, Abebooks. You may access some enlightening truths about the Roman Catholic Organization HERE. You may also download an eBook HERE.